We are thrilled to welcome back Ginny Hunsberger with more book suggestions. The winter months can be challenging for mothers—less hours of daylight, high energy children cooped up inside, or piles of wet laundry from snow play, but even modern day mothers can benefit by preparing for winter. To embrace the novelty of this season, gather all the cozy blankets, light a fire in the fireplace, and fill mugs with your family’s favorite hot drink. Winter is one of the best times for family read alouds. 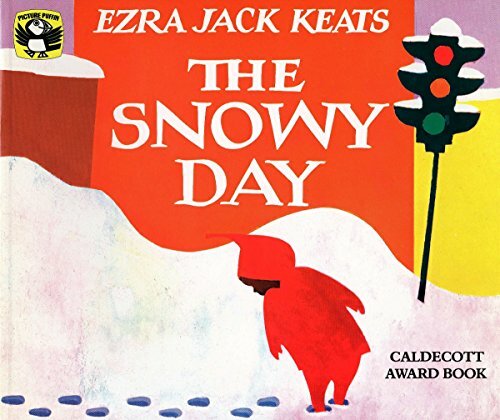 For the youngest in your family, Ezra Jack Keat’s Caldecott winner The Snowy Day is a heartwarming favorite. Follow Peter’s adventure as he spends a day playing in the snow. Your children will want to mimic Peter’s snow angels and find a stick like Peter to make paths in the snow, too. They will giggle at what happens to the snowball Peter tries to save. 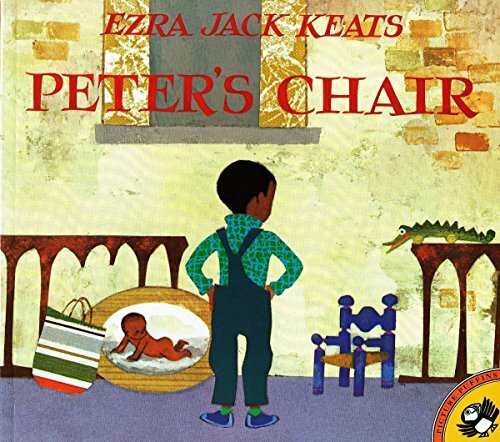 If your child loves this book, read the sequel--Peter’s Chair. 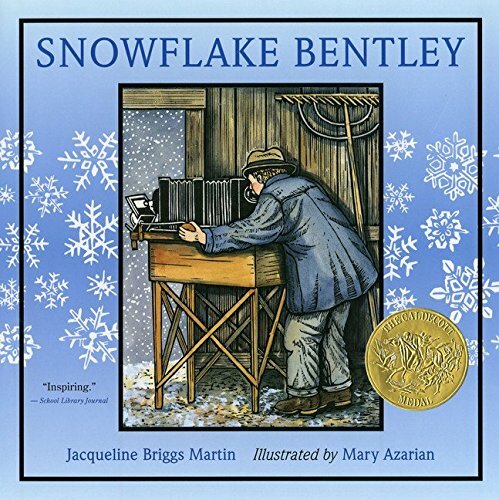 If you want an inspiring biographical picture book, try reading another Caldecott winner--Snowflake Bentley by Jacqueline Briggs Martin. The story follows Wilson Bentley’s real life challenges as he learns how to study snowflakes and capture them in photos. His story is one of perseverance and sacrifice. After reading this to your children, you will want to keep some black construction paper or card stock handy for your next snow. Children will have fun trying to capture some snowflakes of their own. 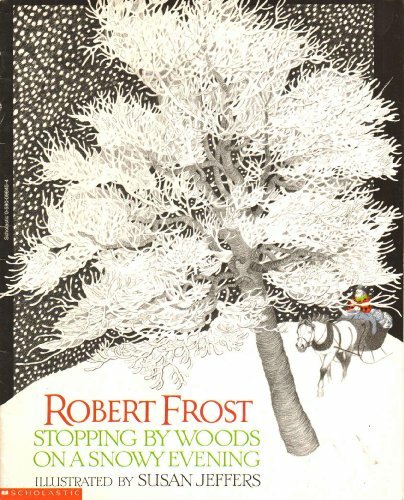 When you are ready to share a poem that appeals to old and young, Susan Jeffers’s illustrations of “Stopping by Woods on a Snowy Evening” by Robert Frost ask to be read again and again. After studying Jeffer’s whimsical and detailed illustrations, your child may want to cut out some paper snowflakes. Snow is a rare thing where I live, but some winters have found paper snowflakes taped to every pane in the windows at the back of our house. Cutting snowflakes is a quiet activity to keep hands busy during a longer read aloud, too. 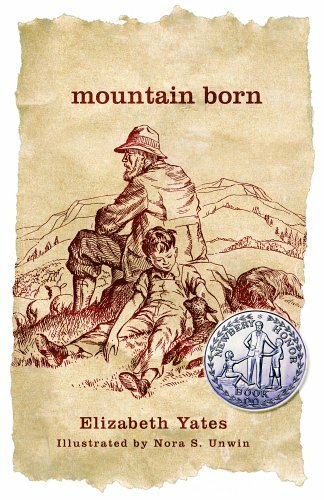 If you would like a chapter book that works well as a read-aloud or to fill your reader’s book basket, Mountain Born and A Place for Peter by Elizabeth Yates are two favorites. These coming of age stories follow a boy named Peter as he goes from his childhood into his teen years. 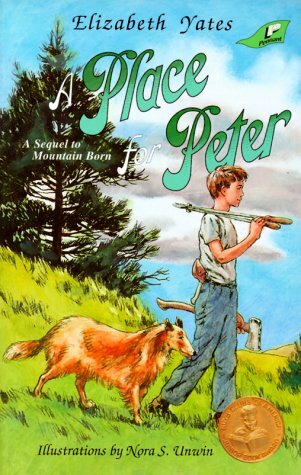 Peter learns to take responsibility in shepherding sheep and later in tapping trees and making maple syrup. These books share stories of hard work and sacrifice, but there is plenty of adventure woven through to keep your busiest children’s attention, too. Pancakes and maple syrup would be an appropriate ending to these two books. 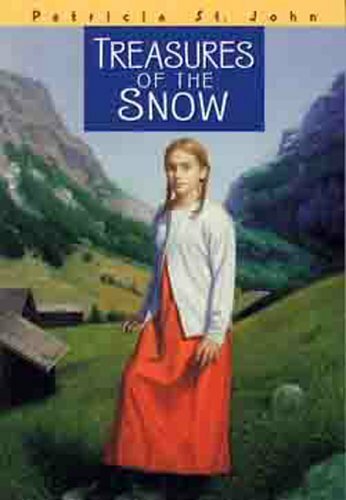 Treasures of the Snow by Patricia St. John is a chapter book focusing on the theme of forgiveness. The story begins one Christmas in the snow and carries on through other seasons. The characters wrestle through the consequences of bullying and an accident that followed, and then work through bitterness and gradual healing that leads to forgiveness. This book will cause you to examine your own heart and your attitude toward those who have caused you to suffer, and it offers the hope of forgiveness’s lifted burden that only God can offer. Even though this story covers difficult themes, it will keep the child who stands on his or her head while you read still asking for another chapter. Let’s view our cooped up winter days as an opportunity for extra read alouds, cozy family time, and time for creative play. 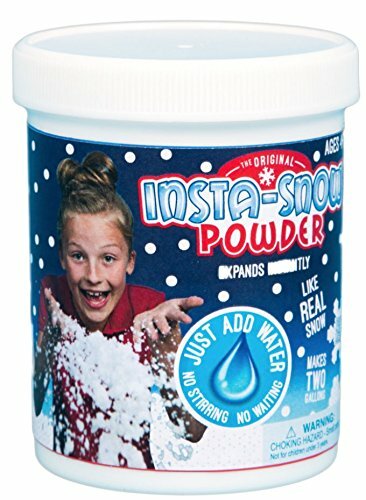 If you live in a climate that does not get snow, pick up a packet of Insta Snow. Mix the polymers with water to make a white fluff that looks like snow. While you don’t want to wash these down your drains, once the polymers dry out, they are easy to sweep up and clean off. Insta snow is not sticky like playdough. It is fun for tactile play for grade school children and older.